Ron L. Svaty is a notoriously corrupt judge in Ellsworth County, Kansas, and the epitome of judicial kakistocracy. He was originally appointed by Kathleen Sebelius, whom many believe to be the most incompetent public official to EVER serve, and prone to exceptionally poor judgment. Notably, Ms. Sebelius was the inept architect of the embarrassingly bungled ObamaCare Website Roll-out in 2013, which is arguably the most reckless and poorly managed website launch since inception of the Internet. Why a Judge in Rural Kansas? Noted for his penchant for corrupt influence and outright disregard of the law, Mr. Svaty was recruited by Morgan Stanley operatives to orchestrate an outlandish paternity fraud in a state far removed from North Carolina. This was important for purposes of subterfuge and disassociation, as Morgan Stanley has long been financing criminal activities in North Carolina. These include Fraud, Racketeering, Extortion, Sabotage, Corruption, and even Assassinations. Moreover, as part of its increasingly desperate cover-up efforts, Morgan Stanley has sponsored the Denial-of-rights (e.g., inalienable, civil, property) Incarcerations-on-false-charges, Evidence-destruction and grand larceny Thefts. 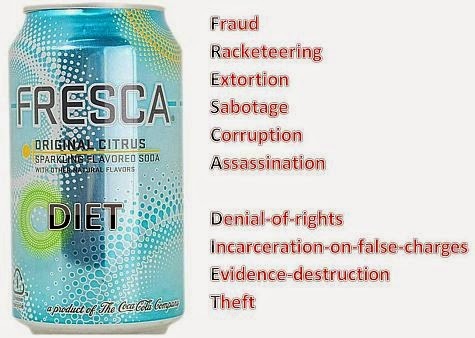 In fact, the criminal activities are so numerous, a mnemonic device is necessary to remember all of them, and the DIET beverage FRESCA does the trick, as reflected below. What Makes This Such an Outlandish Paternity Fraud? No Due Process – Svaty held the bogus hearings, fully knowledgeable that Mr. Young could not possibly attend, nor be represented by an attorney. And he knowingly held the hearing at which his bogus orders were issued on the day of the funeral of Mr. Young’s wife of 24 years. No F#@king Way – the next point relates to circumstances so flagrantly shocking, they may appear impossible to believe, and are covered in the next section, “Incredulous, But True”. With the help of ANOTHER corrupt judge in North Carolina (David Q LaBarre), Ms. Krier secretly perpetrated FIVE grand larcenies over a six month period, making off with over $200,000 of property, which was INVOLUNTARILY placed into storage after Mr. Young was victimized in “the worst bank foreclosure fraud in U.S. history”, a distinction readily verified by Google search. This culminated in his being violently assaulted by a heavily armed Orange County (NC) Sheriff SWAT team and evicted from his Chapel Hill, NC home on a mortgage PAID-IN-FULL! But that’s not all. Shortly after Mr. Young filed a criminal indictment against Mr. LaBarre and Ms. Krier (who were romantically involved at the time), Mr. Young was assaulted a SECOND time by a SWAT team , this time by U.S. Marshals in Florida. He was incarcerated without bail with the most violent of criminals for 127 days on a fabricated charge that was later dismissed as meritless. In an attempt to destroy the evidence, Mr. Young’s residence in Florida was ransacked and ALL of his computers were taken and were NEVER RETURNED. This assault was orchestrated by yet another corrupt public official, then acting Durham District Attorney, Leon Stanback, who is LaBarre’s long-time friend and colleague (they are both retired Durham Superior Court Judges). Folks, you just can’t make this s#&t up. 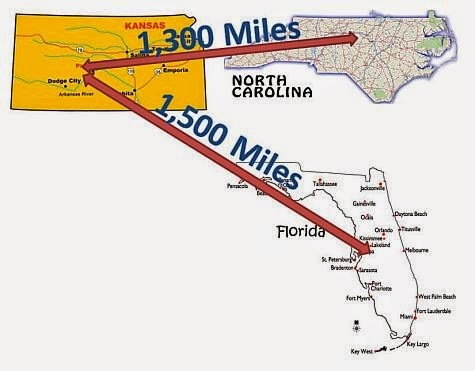 So a notoriously corrupt judge in rural Kansas, originally appointed by a Governor known for exceptionally poor judgment, disregarded operative law and orchestrated a paternity fraud from well-over 1,000 miles away. 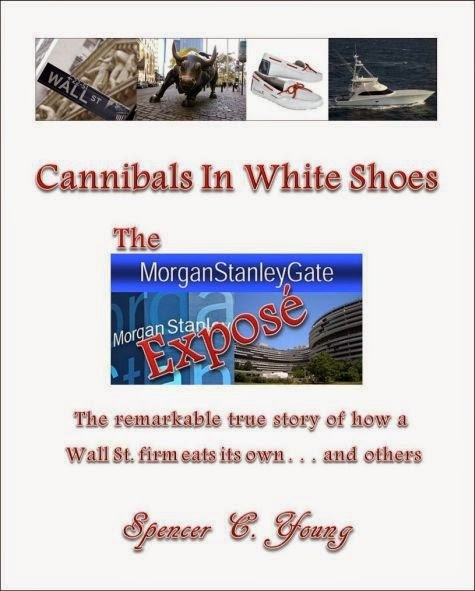 Ron L. Svaty’s nefarious actions were undertaken on behalf of Morgan Stanley in a desperate effort to prevent Spencer C. Young from publishing his tell-all of the extensive criminal activities of a bank once deemed “too big to fail” – to wit, Cannibals In White Shoes – The MorganStanleyGate Exposé, which is remarkable true story of how a Wall Street bank eats its own . . . and others.